Spring is almost here!! That means it’s time to start doing all our fun spring decorating, crafting, and cleaning! Okay, the cleaning part, not so much 😉 Spring is officially here in two weeks and Easter isn’t that far behind it! 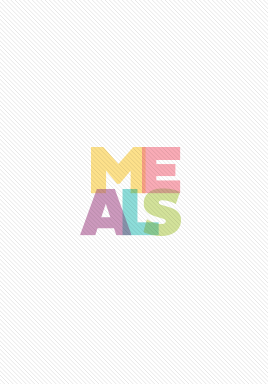 Here is a fun spring “recipe” for you and the kids! Or the kids, or even your husband if you like! It’s so easy! 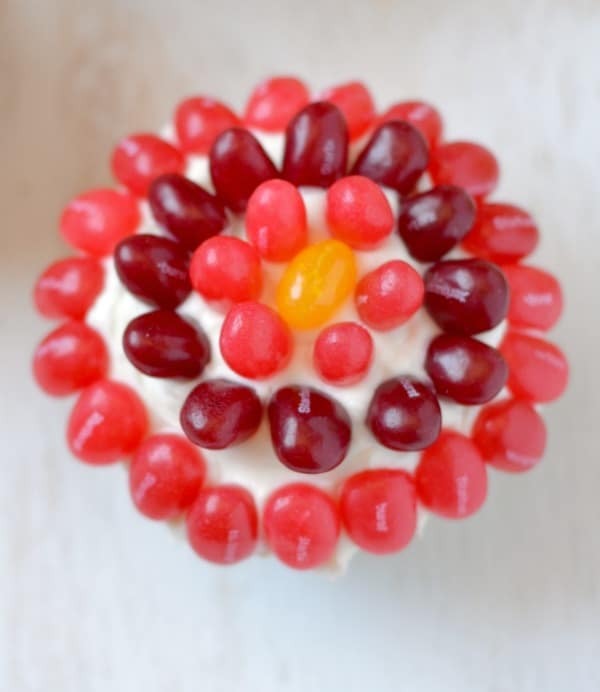 All you’ll need are cupcakes, frosting, and Starburst® Jellybeans. 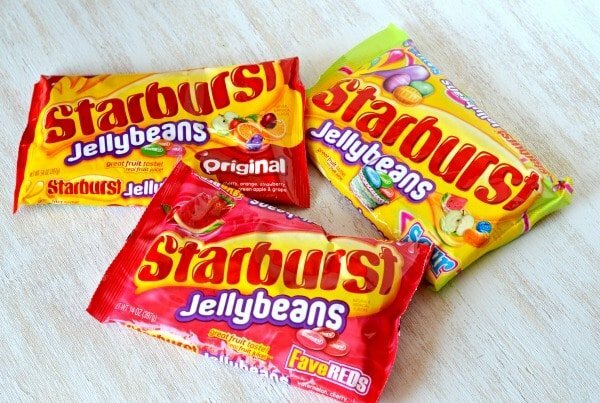 Let me tell you….they are the ONLY kind of jellybeans we buy! Seriously, so amazing! This year Starburst® has the most delicious flavors of jellybeans! They have the best flavors of any jellybeans I’ve tried and the colors are so beautiful in any candy dish or Easter basket! I think they taste so good because one of the ingredients is real fruit juice!! They have a new flavor that I am crazy excited about! Check it out! Do you see what I see? Starburst® FaveREDS Jellybeans!! They have all your favorite red Starburst® flavors in one bag! Now no sorting to pick out the yellow or green ones ( I personally love them, but my kids love to dig through and pick out their favorites). These are just simply amazing!! When I was at my local Kroger store I also found a bag of Starburst® Sour Jellybeans, that definitely brightened my day!! I know you’re going to be wondering where to find these and to save you time, I took a picture of the aisle they’re located in! You’ll find them in the aisle that has the newest holiday promotions. Look for the purple boxes, those are housing the delicious jellybeans you’re looking for! 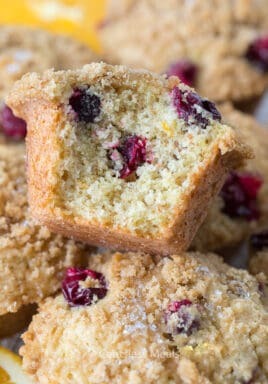 Let’s get started on how to make these beauties! 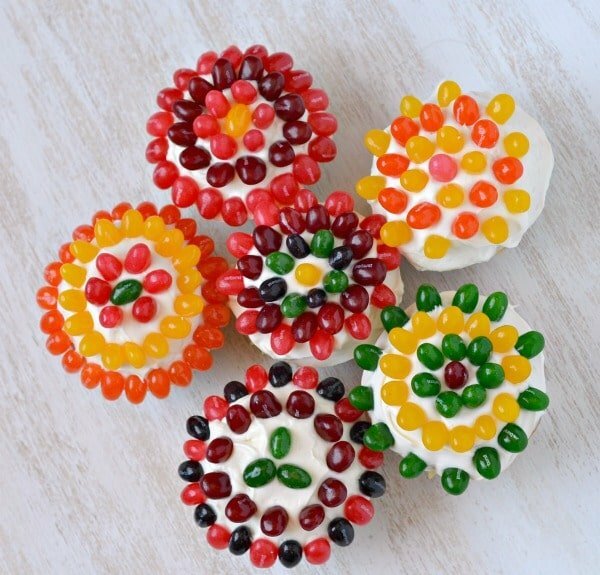 Once cupcakes are frosted, place jellybeans in a shallow dish. Choose which colors and pattern you prefer for your “flower” and gather them up. 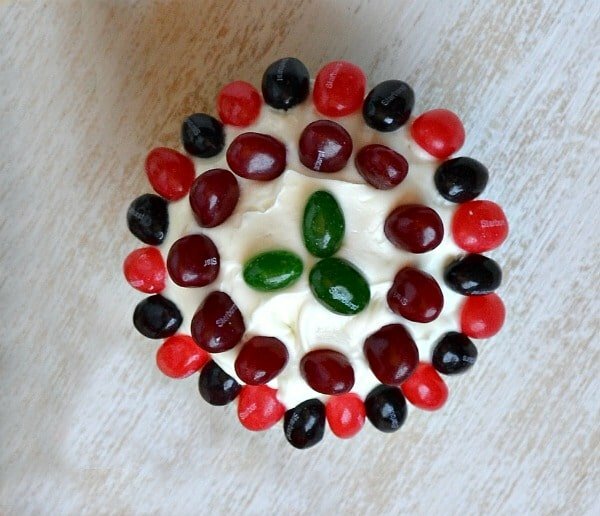 Start at the center of the cupcake and gently place the jellybeans into the frosting and be sure to not press them in too hard. Once you have finished the center, work your way to the outside edges. Place in a cool area to set, I placed mine in the fridge for about 15 minutes. See how fun and easy that was? My kids would love to make these! I think it would also make a great spring break activity for the family!! 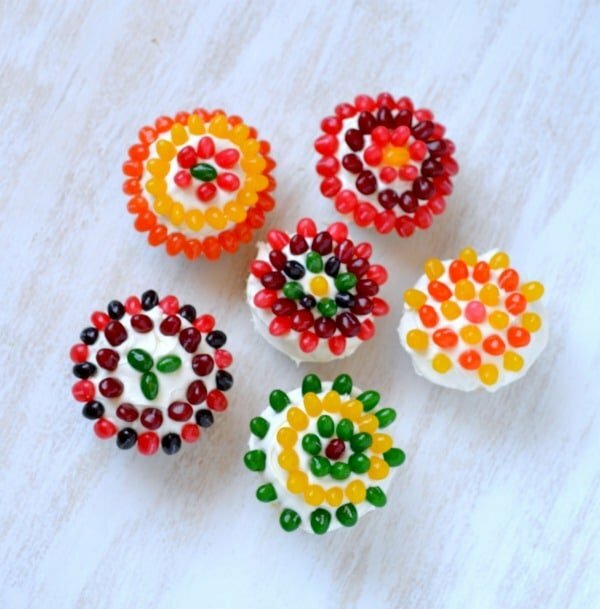 Starburst® Jellybeans have the perfect colors and flavors for this project! Be sure to grab some when you’re at your local Kroger store this weekend!